Her slogan “make art, live forever” is a good one. Art sure makes us happy and happiness is a key to long life, isn’t it? 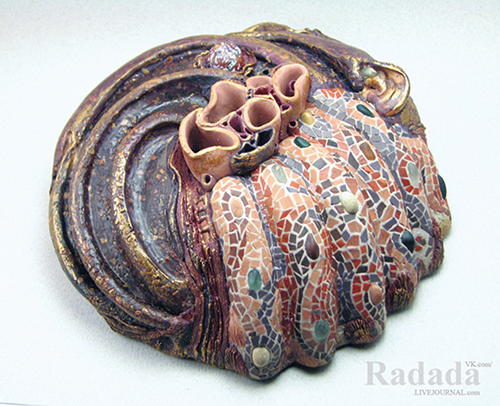 Radada has some original organic pieces in her flickr gallery. 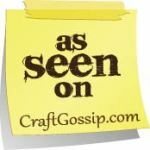 At first sight it seems mosaic but it’s polymer clay. Gaudi’s inspired this specific piece and she won one of the first places in a contestunder “décor” category, sharing her place with another artist (KalinkaPolinka). 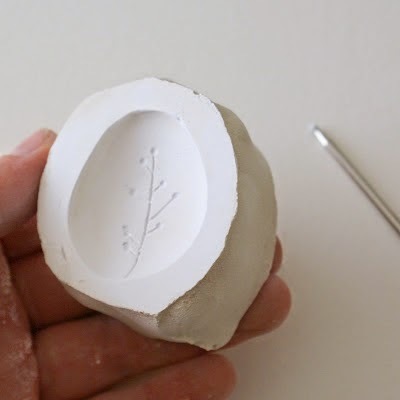 Have you considered creating molds from plaster? 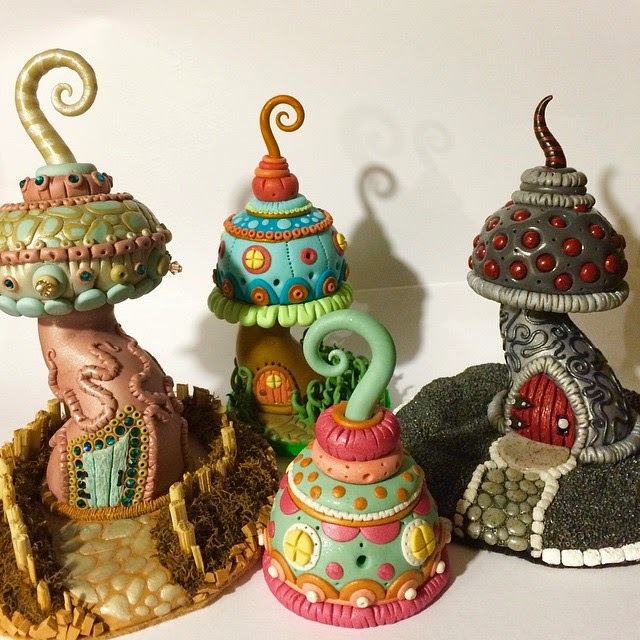 Artmind is a ceramic artist but you can be inspired by her free projects in polymer clay too! 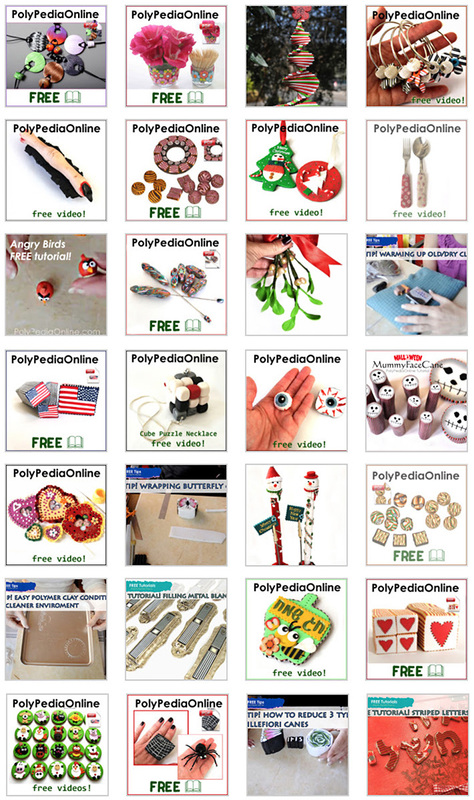 Don’t miss her free 15 art and crafts tutorials that can fit perfectly one of your polymer clay projects! All you need is several layers of thin hearts, ball tools, muffins baking tray and you are ready to create beautiful blooming flowers! 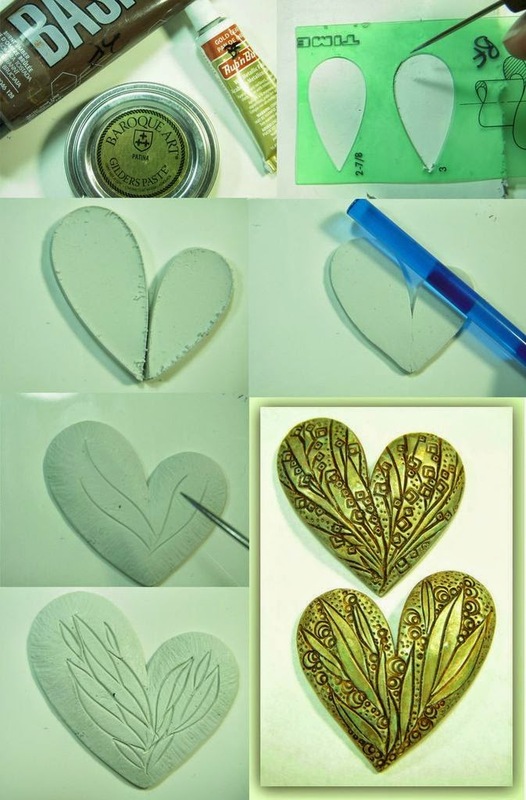 Another link is create your hearts using a teardrop shape cutter/template, add gilders paste and you have a “metal” looking heart to embellish your cards/gifts!